Happy Monday friends! I'm in Chicago right now & let me tell ya, it's hot & humid. The opposite of Portland weather - But I'm loving it! I'm here for work for a few days & then vacationing with Luke & his family for the rest. When I got to town, I checked into my hotel & then hit the streets with my camera & started snapping away. 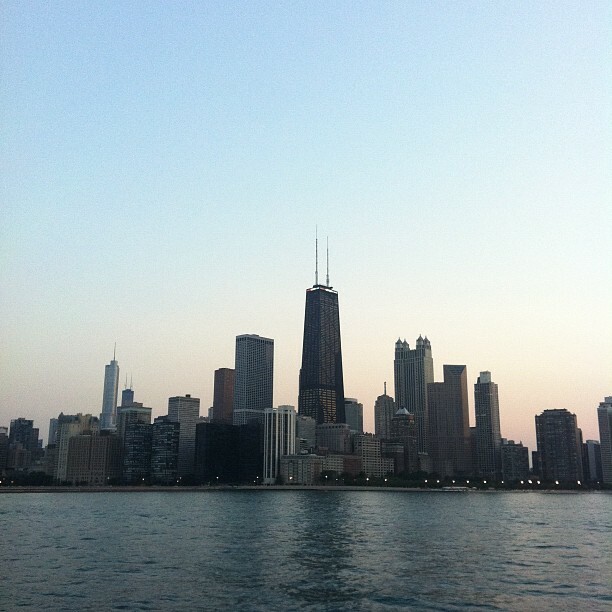 Chicago is such a beautiful city, it's hard not to. I grabbed some dinner at Potbelly (mmm) walked over to Millennium Park, came back to the hotel for some wine tasting in the lobby & then I headed back out to walk across some bridges & hop on a last minute sunset boat cruise of the city. Whew, that was a lot for just the first day!! I'll be working all day today & Tuesday so I wanted to get some fun stuff in beforehand. Depending on how much time I have during the week, I might be back to blogging, or I might not :) But I promise that I will get around to showing you all some Chicago pix soon! 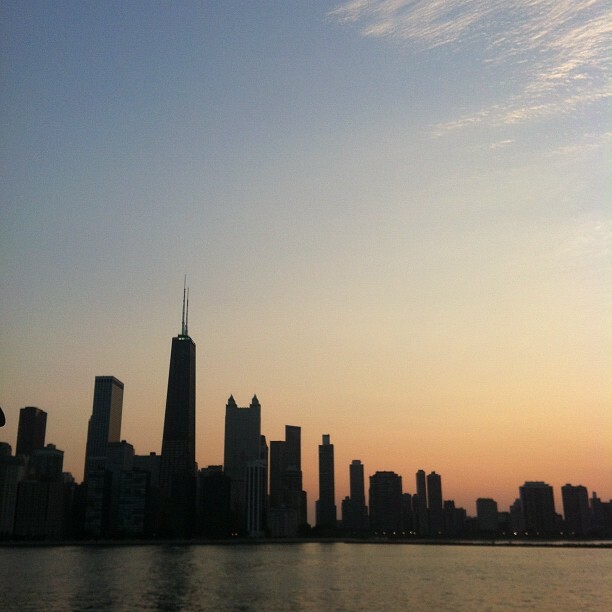 I love Chicago! I was there in the dead of Winter so I have not seen it's beauty in the summer. I loved breakfast at Bongo Room if you have a chance! 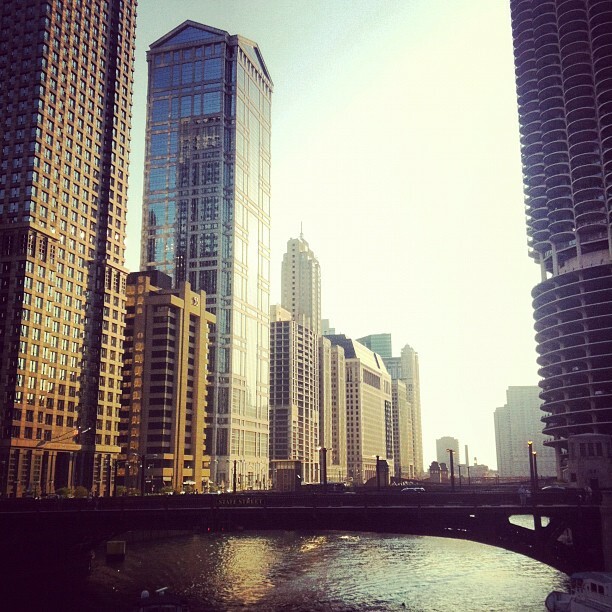 I just love Chicago!! 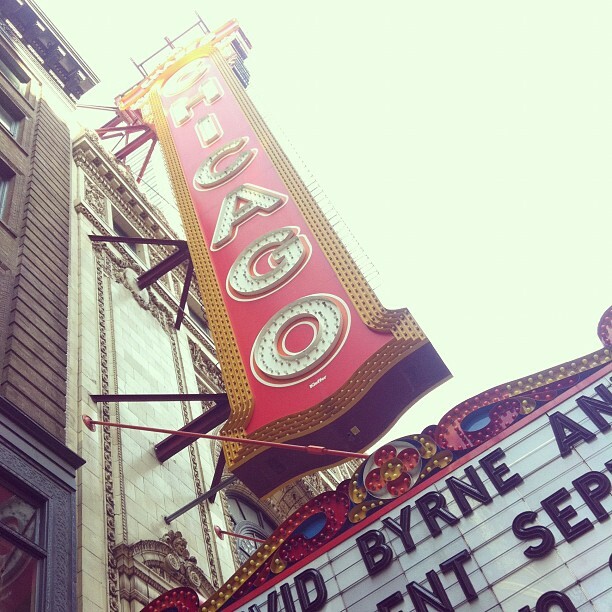 I took similar pictures of the theatre sign and river when I was there for St. Patrick's Day (and the river was green!) SO fun.